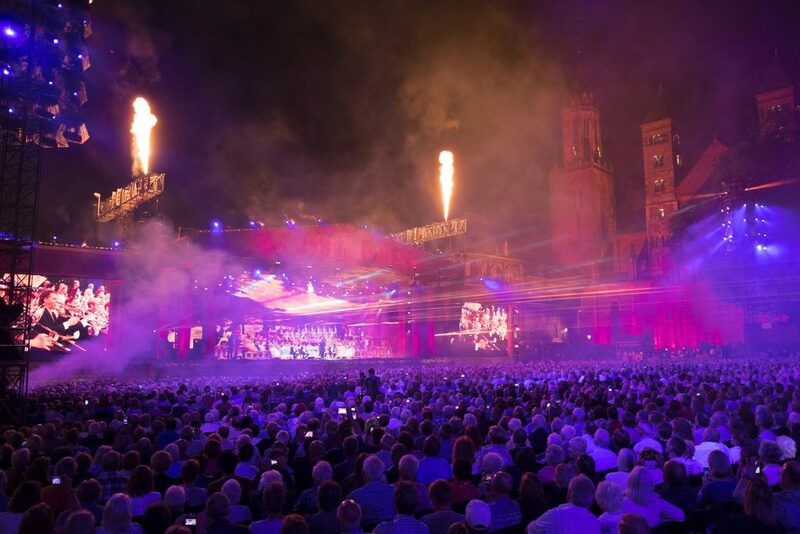 André Rieu’s 2016 Maastricht Concert took more than £1.4m at the UK box office this weekend for CinemaLive, to become the highest-grossing music concert of all time in the territory. Screenings took place on Saturday 23 July at 7pm and Sunday 24 July at 3pm in 544 locations across the UK and Ireland, grossing a verified weekend result of £1,408,251 (source: Rentrak). The event cinema golden ticket surpassed last year’s UK result of £1m, which itself was a record at the time, beating out Take That Live and One Direction: Where We Are – The Concert Film. It charted third at the box office ahead of Hollywod fare including Ghostbusters, Ice Age: Collision Course and The Secret Life Of Pets. The concert also screened at a further 266 cinemas across Europe, including in The Netherlands, Belgium, Denmark, Romania, Germany, Spain and Poland. In Denmark, the concert became the highest grossing event cinema release of all time. Further screenings will take place this coming weekend in Australia and New Zealand, followed by Canada, Brazil, France and South Africa with further territories to be announced in due course.